Fluctuations of commodity prices, most notably of oil, capture considerable attention and have been tied to important economic effects, such as inflation and low rates of economic growth. 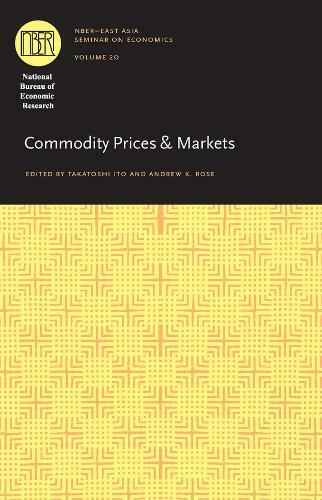 "Commodity Prices and Markets" advances our understanding of the consequences of these fluctuations, providing both general analysis and a particular focus on the countries of the Pacific Rim. The volume addresses three distinct subjects: the difficulties in forecasting commodity prices, the effects of exogenous commodity price shocks on the domestic economy, and the relationship between price shocks and monetary policy. Accurately forecasting commodity prices is difficult but of great importance to businesses and governments, and this volume will be invaluable to professionals and policymakers interested in the field.